Last year we introduced you to Leakey Foundation grantee Jason Lewis who was awarded during our spring 2016 cycle. To read a short summary of his work, click here. Here he updates us on his team’s progress. The Kondoa region in central Tanzania is a UNESCO World Heritage Center and home to dozens of rock shelters painted with dazzling and diverse ancient paintings. 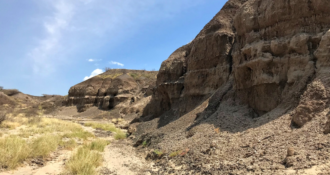 One of these shelters, Kisese II, is unusual for its deeply stratified artifact- and fossil-rich deposits, which span the Late Pleistocene to Holocene. 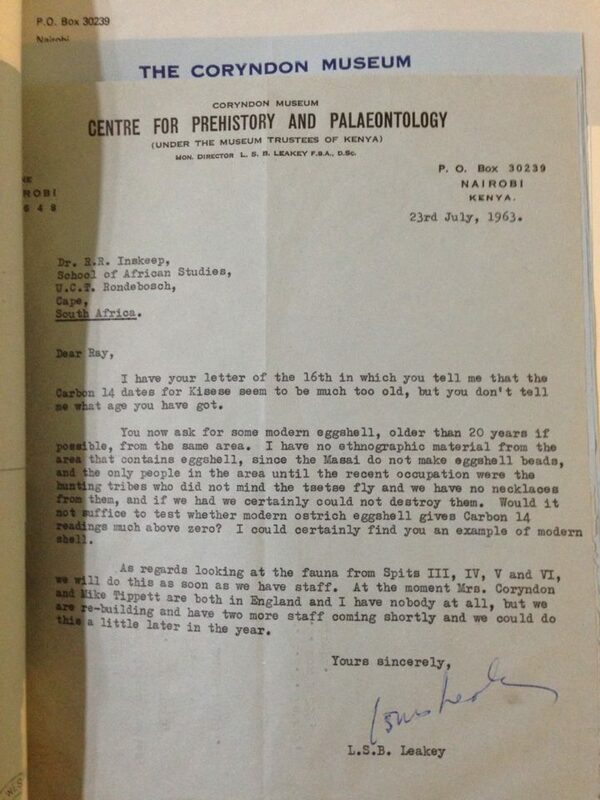 Kisese II was excavated by Louis and Mary Leakey in 1951 and by Ray Inskeep in 1956, but the results were published only as preliminary notes. And the faunal and lithic materials have been moved to several museums over the past 60 years. What we know from these preliminary notes, however, is that the Kisese II record is special; rich in ochre, it contains thousands of ostrich eggshell beads, lithic artifacts, diverse and well-preserved fossil fauna, and six human burials. Together with Christian Tryon, Kathryn Ranhorn, Audax Mabulla, Amandus Kwekason and other collaborators, we’ve put together a new project to fully analyze the material from this important site and reveal their implications for understanding the interplay between changes in the environment, human population growth, and stone tool technology in this important period of Africa’s prehistory. 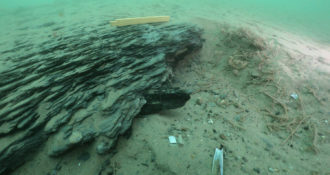 We immediately relied upon archives to get started; thanks to Inskeep’s preliminary reports and curation efforts of the Tanzanian National Museum, we were able to obtain sixteen new radiocarbon dates across the sequence, showing that the >4 meter sequence spans the last fifty thousand years. In 2015 we visited the site to determine the current state of preservation of the rock art and the archaeological sequence and the feasibility of new excavations. Support exciting projects like this one. For a limited time your donation will be doubled! Click here. Thanks to funding from the Leakey Foundation, we’re now expanding on these results by focusing on the lithic artifacts and fossil fauna to understand changes in the environment, ecology, and foraging practices across multiple Late Pleistocene-Holocene human technological and behavioral shifts. 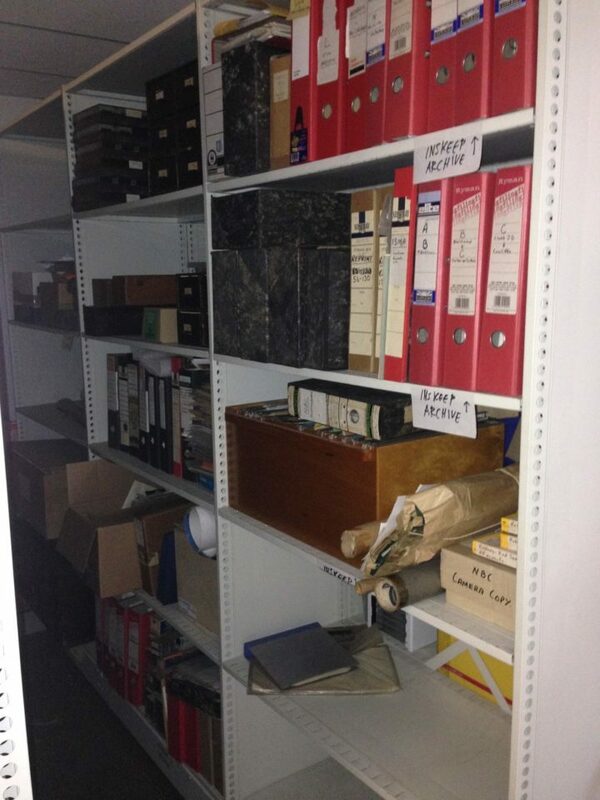 Again, our first priority was to find more archival records, which led me to the McDonald Institute for Archaeological Research at Cambridge University in the UK in December 2016. 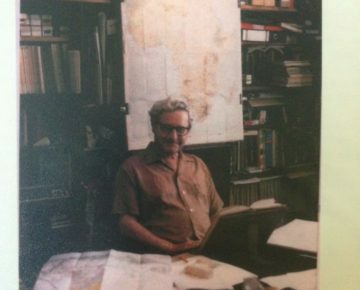 This incredible facility enabled me to search Ray Inskeep’s personal archives for any contextual information that would help us when analyzing the Kisese II faunal and lithic material. 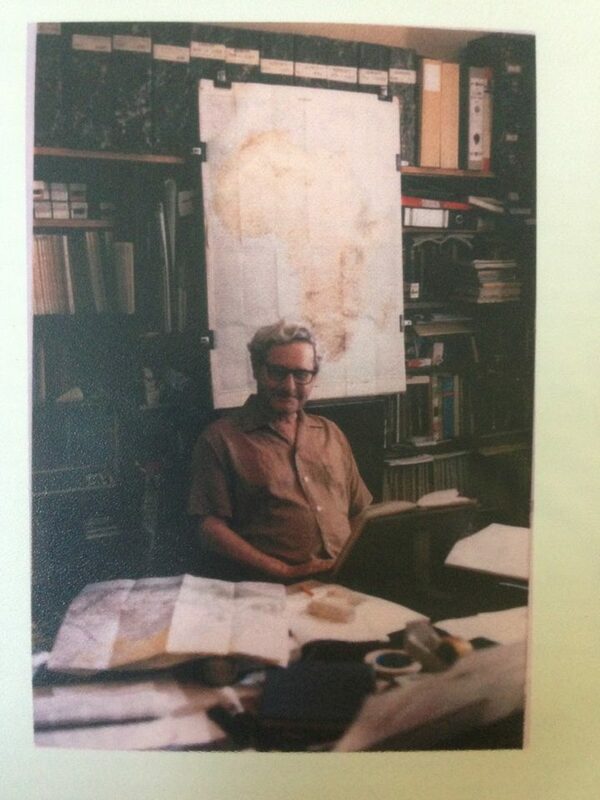 Hidden amongst a lifetime’s worth of records and remembrances, I was lucky enough to find correspondence between Inskeep and colleagues about the Kisese II project and photos of the site during work there, including one of Louis Leakey visiting the site. I also found Inskeep’s plans and sections from the excavation, and raw data on the lithic artifact counts by category and level. This documentary evidence is of great importance for reconstructing a full context for the materials from the site. While at Cambridge, I was also invited to give a lecture about this work in the Department of Archaeology and Anthropology’s Biological Anthropology Seminar Series. 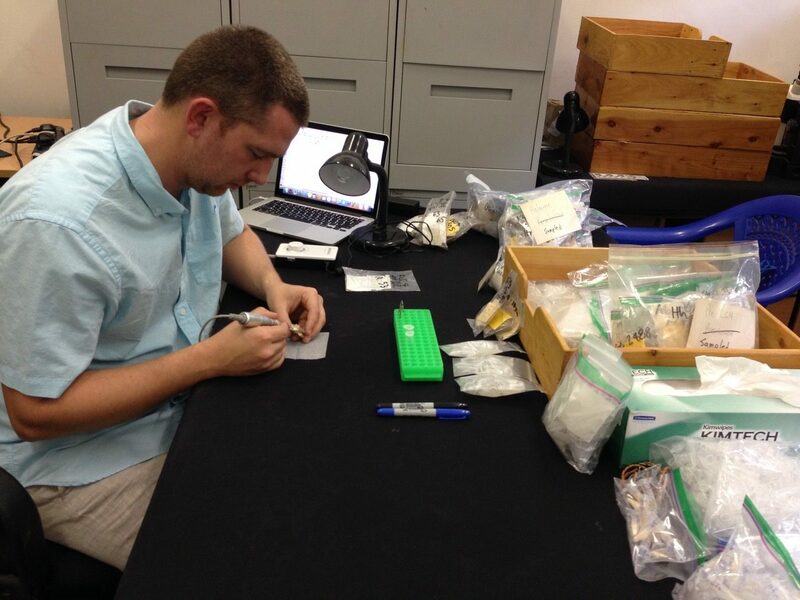 With this valuable new archival information, I then traveled to Dar es Salaam to coordinate with Tanzanian project members and to collect enamel, dentin, bone, and OES samples from the Kisese II collection. I spent two weeks identifying appropriate specimens, photographing and recording them, and drilling off small amounts of bioapatite for export. These samples have been sent to Rhonda Quinn at Seton Hall University for isotopic analysis, the results of which will tell us more information about the past ecology- like what types of plants ancient animals ate around the site. A subset of mammal teeth was serially sampled up the crown to investigate changes in the degree of seasonality through time. We also exported more ostrich eggshell fragments, which Elizabeth Niespolo at UC Berkeley is analyzing to better understand the paleoenvironment. As part of our project’s outreach program, NMT staff members were trained in sample collection and preparation, a complete set of drilling equipment and supplies were donated to the museum, and we’re working together to develop an official policy on destructive sampling. 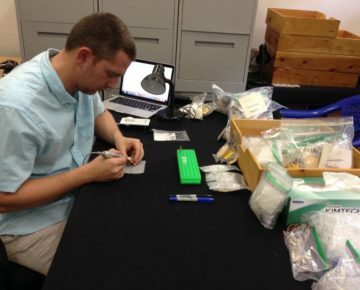 A few days after I left Dar, project member Kathryn Ranhorn, a doctoral candidate at George Washington University, arrived and analyzed the lithic artifacts to discern changes in tool production behaviors. This work would not have been possible without the detailed record keeping of multiple parties, especially Ray Inskeep, the McDonald Institute, and the Tanzanian National Museum. 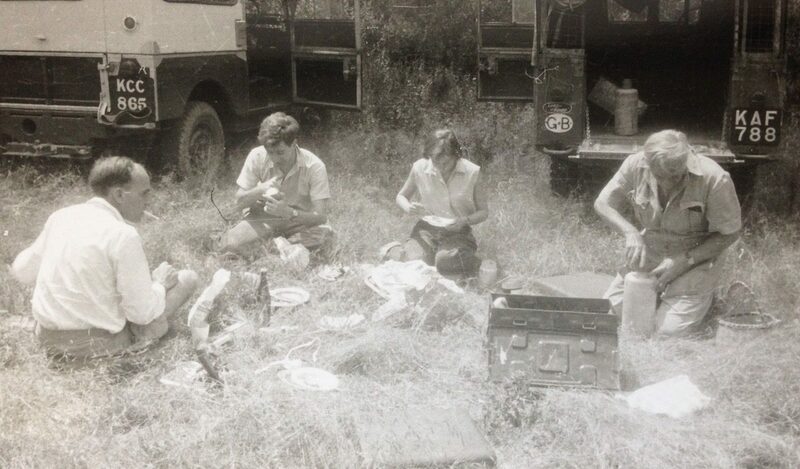 Thanks to support from the Leakey Foundation, we look forward to continuing this important research started so long ago, to renewing excavations at the site, and to contributing new evidence to the archive of all humanity.